Keys have all kinds of numbers, letters, and symbols on their heads. Some are stamped into the metal, while others are embossed during the molding process. I've provided this guide to describe the information contained in the letters and numbers. To understand the numbers and letters, you need to know the different parts that make up a key. Bow/head: The bow works as the handle you use to hold and turn the key. Most key numbers appear here. Stop: Located next to the bow on most keys, the stop keeps the key from going too far into the lock. 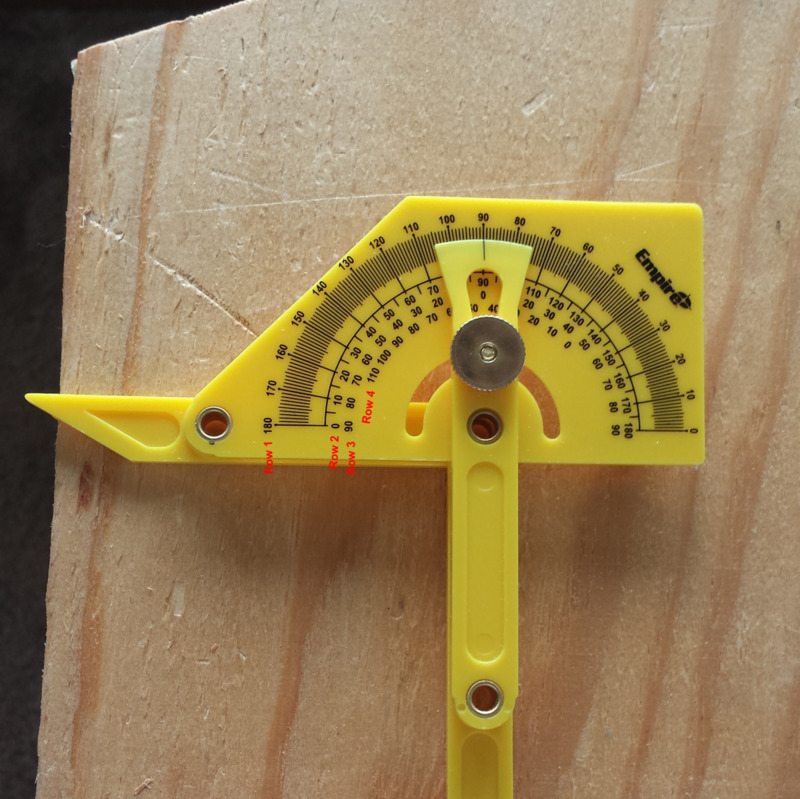 Distances are measured starting at the stop to locate the cuts. 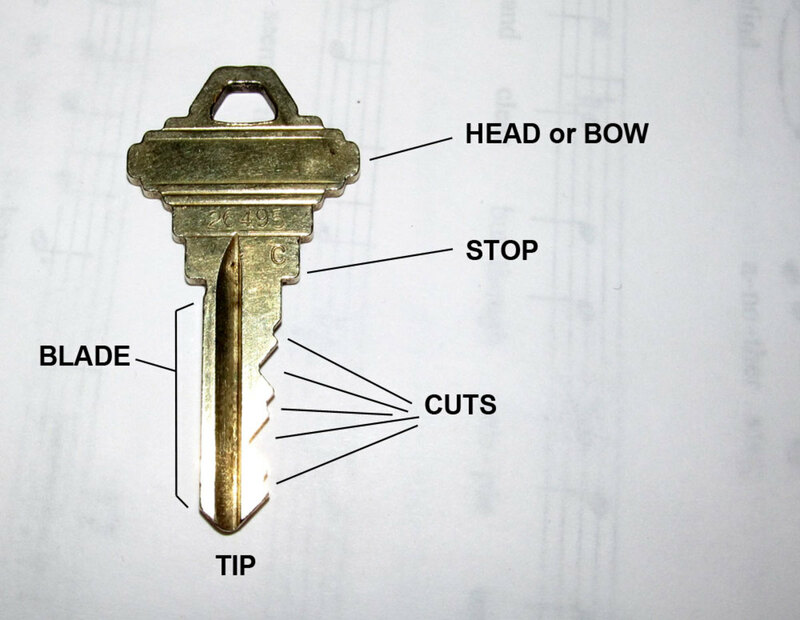 On certain types of keys, the stop is located at the tip (end) of the key rather than the bow. Blade: The blade is the business end of the key and is where the cuts that correspond to the key's bitting are located. Cuts: In order to make a standard key, you need to cut material away to specific depths to accommodate the dimensions of the tumbler that is inside the lock. These depths are numbered according to their size in thousandths of an inch. For example, a number one (1) cut may be .213" (two hundred thirteen thousandths of an inch) on a particular key brand. Listed, these depth numbers comprise the bitting of the key. If a key has no cuts, it is not called a key. It is called a "blank." Tip: You can find the tip at the opposite end of the key from the bow. It's used to identify the order of a bitting. For example, you could say the bitting on this key is written "bow to tip". The illustration above shows the different components of a key. In the photo, Figure 3, above, we see a close up of the head with a five-digit number towards the bottom. This number is the bitting. If we look at these digits one at a time and then look at the blade of the key in the photo, Figure 4, below, we see that the first cut (starting from the bow end) is a number "2" and not so deep. The second cut, a number "6," is significantly deeper. If we compare the cuts to their corresponding numbers in the bitting, we can see that the larger the number, the deeper the cut. This is typically the way bittings are constructed. By comparing the numbers to the cuts, we can tell that the number stamped in this key is, in fact, the bitting. In Figure 3, we flipped the key over from Figure 2 and see that the manufacturer's name is prominently displayed. We know the name on the key is the manufacturer of both the key and the lock. With these three pieces of information, a locksmith can cut a key for you. 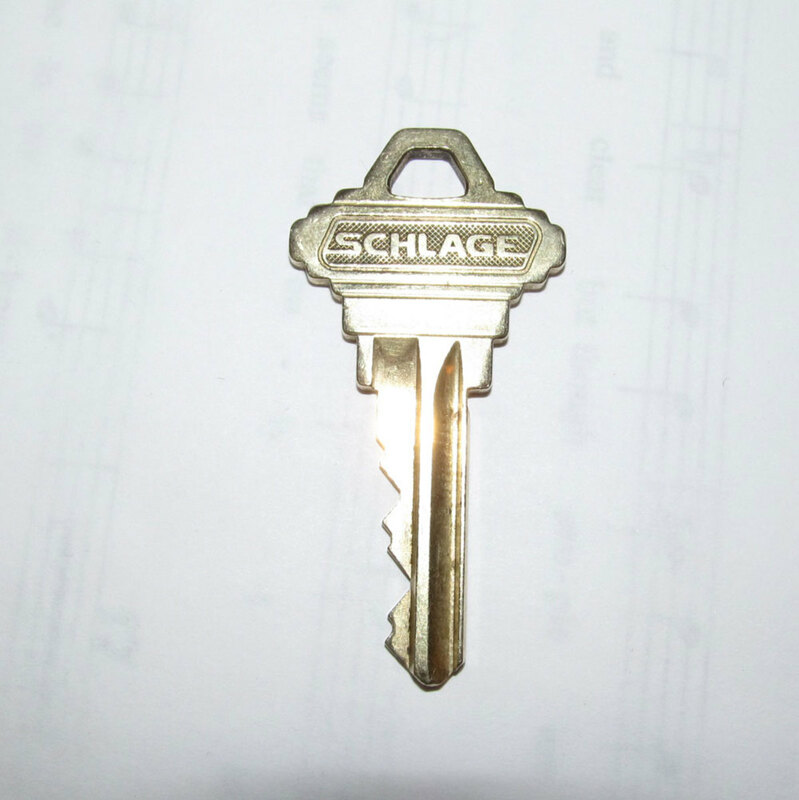 If you request a Schlage key with a "C" keyway and bitting number of 26495, the locksmith can make this for you. They can even key another lock to work with the same key. Even more amazingly, the locksmith can do both things without ever having seen or touched the original key. Magical, isn't it? On the other hand, if the locksmith didn't know the original manufacturer, as with the key in Figure 3a, it's quite likely that the keys made or locks keyed using that bitting would not work properly. In this case, the stop shows the letter "C". 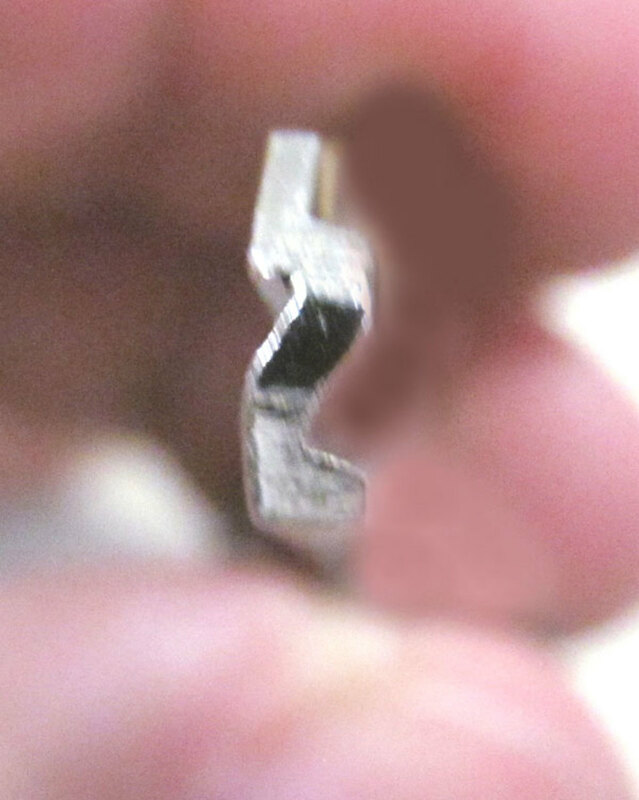 On many Schlage keys, this is where the keyway of the key is shown. 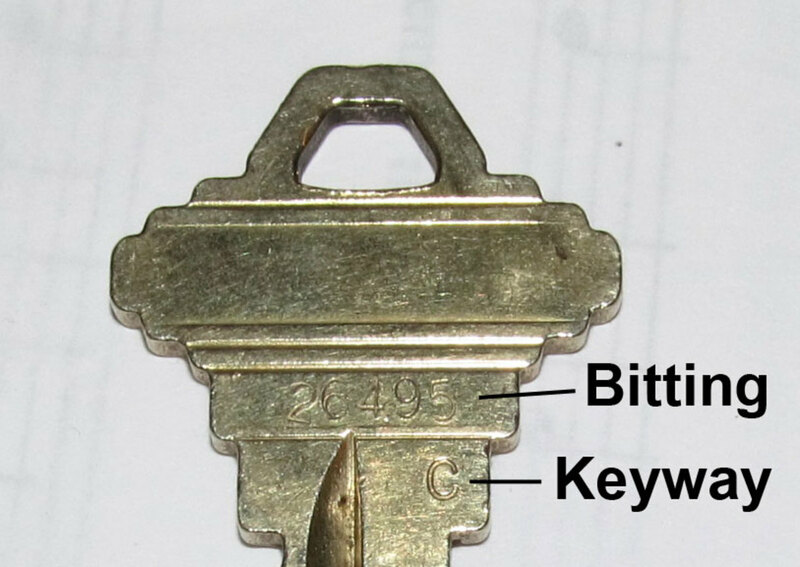 The keyway is the shape of the key when viewed from the tip and determines whether or not the key will be able to enter the keyhole of the lock. You can see this in Figure 3 (above). Bitting numbers can come in a number of formats. Yale Locks, for instance, places an "A" before their bitting numbers to differentiate them from key code numbers. 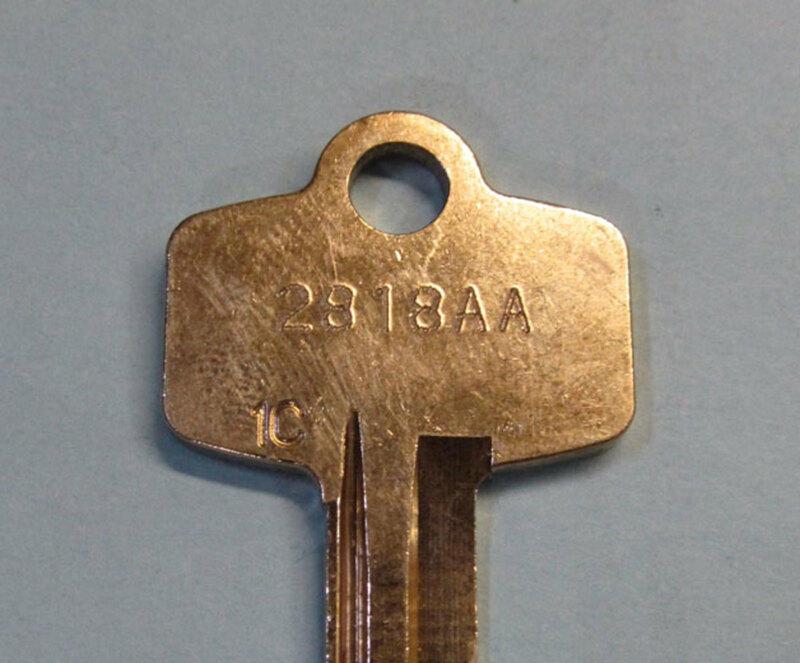 A 6-pin bitting number stamped into the bow of a Yale original key would look like this: A298837. 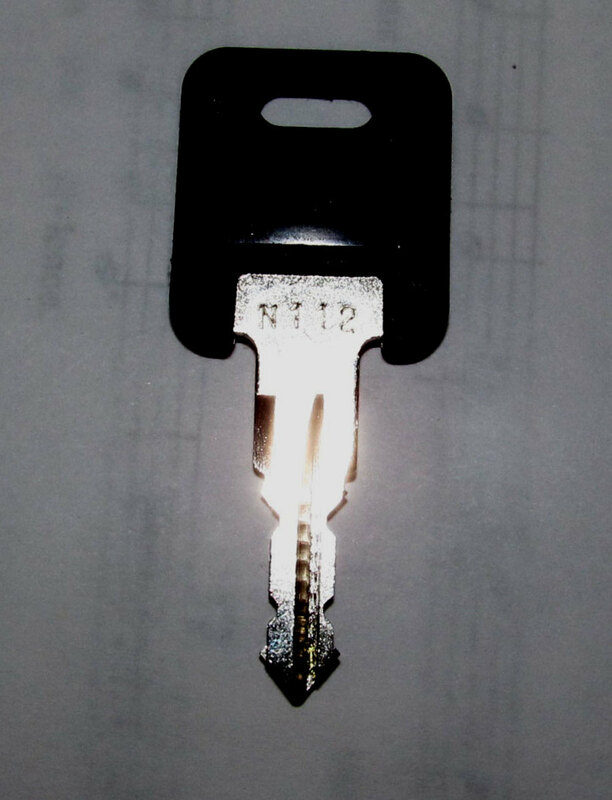 In Figure 3a (above), we have what appears to be another Schlage C keyway key with a bitting number on it. Because it does not show a manufacturer's name, however, we can't assume it is a Schlage original. 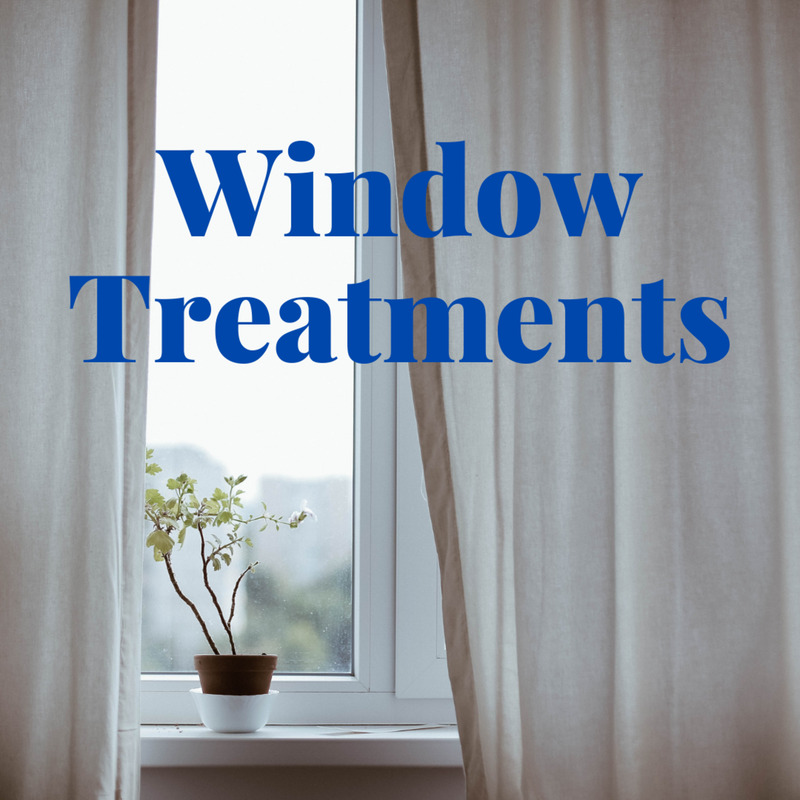 We can see by close examination that the numbers seem to match the depths of the cuts, but we would need to measure them to see if the cut depths are the same as those on a manufacturer's original. You can use a micrometer to compare cuts on an imitation key with cuts on an original key. If you find a discrepancy of more than two or three-thousandths of an inch (.003 inches), then it is likely the key is an imitation. If it is an imitation, the bitting is useful only to the factory that made the key in the first place. Key blank model numbers appear on the bows of aftermarket blanks. They're used by key duplicators to make copies of keys. When you go to a hardware store or to a locksmith to get a key cut, they copy your key onto a key blank by making cuts in the blank that match the cuts on your key. They can't use any key blank because it must have the same keyway and length. 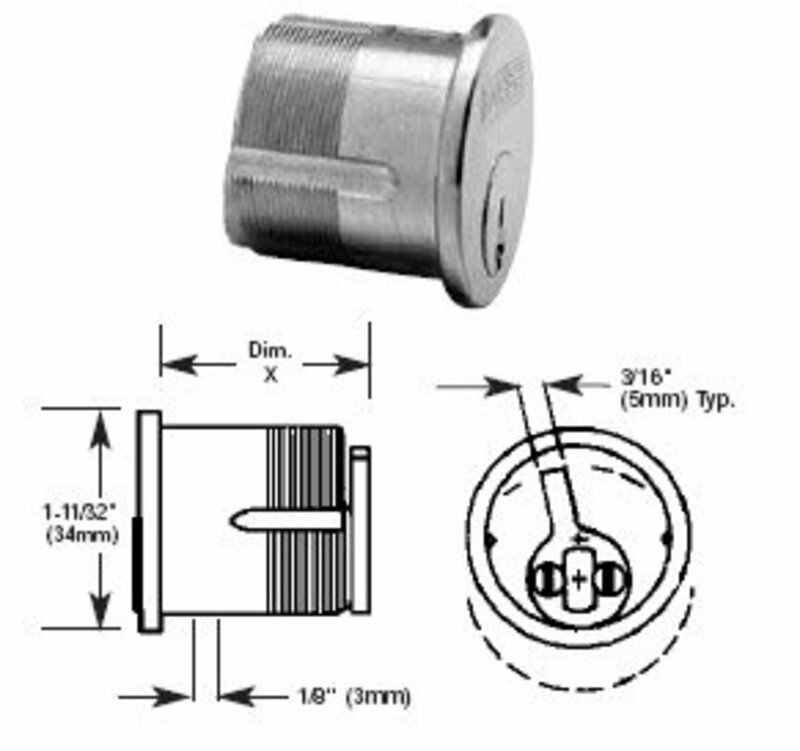 For keys that fit pin tumbler locks, the key length is described in terms of the number of pin tumblers in the lock that they are designed to operate. For example, Schlage C keyway key blanks are available in 5- and 6-pin lengths. The blank in Figure 5 (above) was made by the Ilco company, a major manufacturer of key blanks. Notice it has two model numbers. The first number, L1054B, is Ilco's traditional key blank number for this particular blank. The second number, IN8, is probably an Ilco "EZ" number - a system of numbers used primarily for more common key blanks. Numbers used by key blank manufacturers should not be confused with part numbers used by original manufacturers. The manufacturer's part numbers are usually quite different. 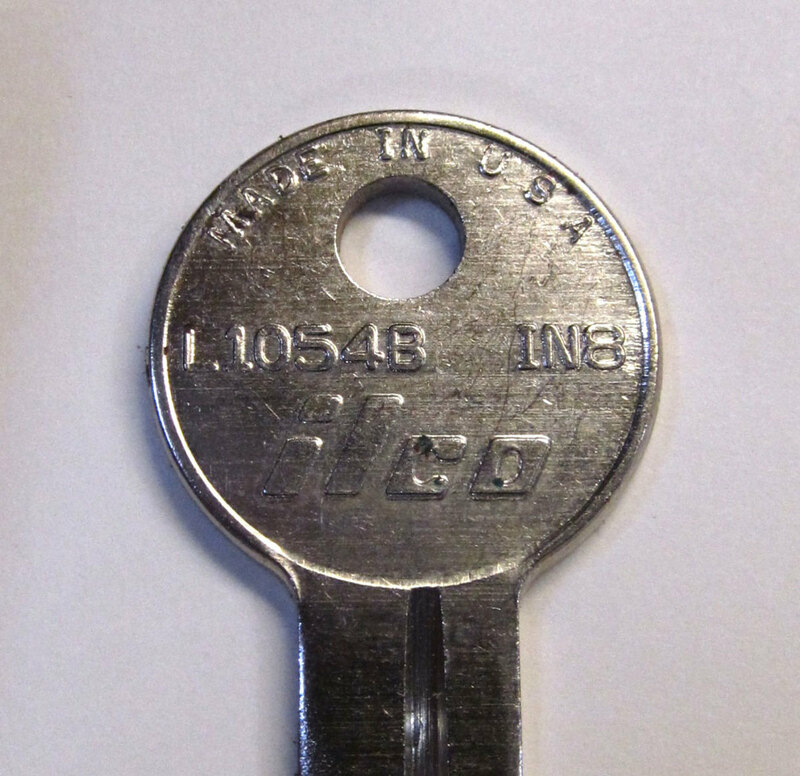 For example, the Ilco number for the 5-pin Schlage C keyway blank is 1145, whereas Schlage's part number is 35-100C. ESP, another key blank manufacturer, would call it an SC1 key blank, and this is the Ilco EZ number as well. This shows us that several numbers can be used to identify any given key blank. Nevertheless, if you can determine the manufacturer of the key blank and the part number used by that manufacturer, you should have enough information for a locksmith to identify the blank you need to cut the key or change the lock. From that information, the locksmith can tell what keyway you have and how many pins are in your lock. The Master Key is key number "A"
Sub-master keys are numbered "AA", "AB", "AC," etc. Operating (or pass) keys under each sub-master will be numbered "1AA", "2AA" etc. under the AA sub-master, "1AB", "2AB" and so on under the AB master. So, when you see a key with a number ending with a letter or two, this probably means it is a passkey in a master key system (see Figure 7 above). In a master key system, key bittings are designed so every key only opens the door or doors it is intended to open. Therefore, every key is planned and recorded. If the master key system is administered well and you can find who administrates it, you can find out what lock or locks a key operates. What do you think "1C" means, there on the head? I bet it's the keyway. Code numbers are generally found on keys for cabinets, alarm boxes, office and industrial equipment, bike locks, padlocks, and other locks not found on pedestrian doors. Like a master key system, keys with code numbers are recorded and administered. Theoretically, if you lost the key but kept the number, you would be able to get a new key cut. However, there are published and non-published key codes. Some code numbers are published in books for locksmith use. Some aren't published in those books, so you can't get them from a locksmith. Keys with unpublished codes can only be obtained from the manufacturer with written authorization from the owner of the key, as noted in the manufacturer's records. Notice the key in Figure 8 (above) has a code with a letter and a few numbers. The format is similar to that of a key in a master key system, and you could think that it is such a key if you didn't know better. The size and key configuration indicate to the locksmith that this is a key by code and not in a master key system. 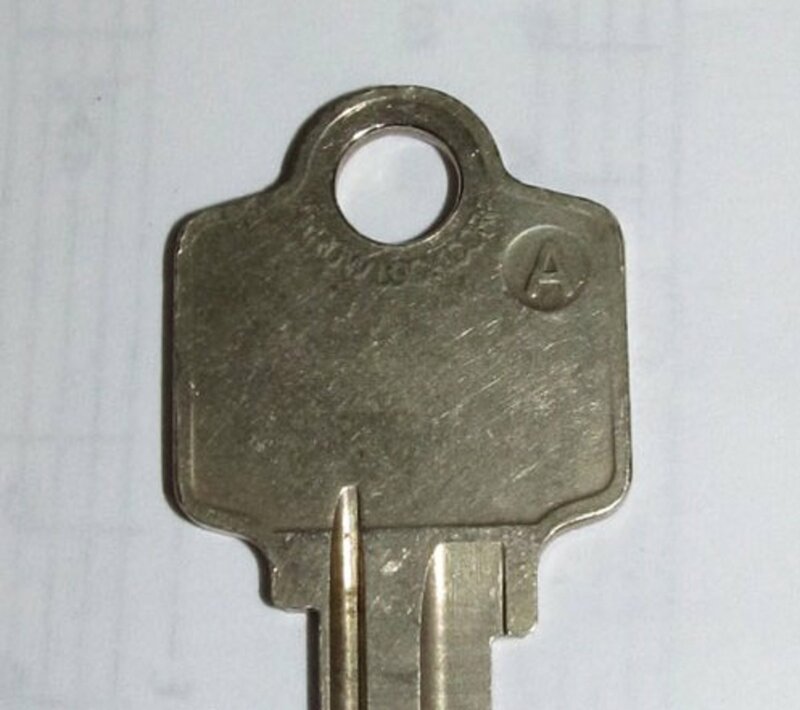 In this example, the size and cut prove this key is not a key in a master key system. Therefore, the number is a code number. You can often find other letters and symbols stamped on key bows. Most locksmith shops, maintenance stores, and real estate offices are equipped with a set of 1/8" letter and number stamps. 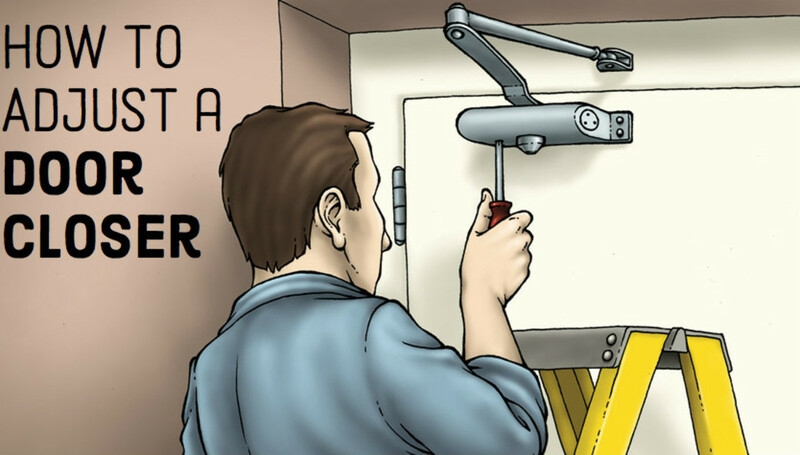 Many times, people will stamp "MASTER" on the head of the master key for a building for easy reference and fail to consider the security problems that can result. You can also see the ubiquitous "DO NOT DUPLICATE" message coupled with the name and number of your local trusted locksmith. A bitting conveys the distances measured in thousandths of an inch. Key codes and key number in a master key system point to a bitting number recorded within an organization. Key blank numbers reveal shapes. Key numbers help us visualize the simple and complex functions of the commonplace key. Figures 6 and 6a (above) show an Arrow Lock Company original key blank. Can you guess the keyway from the bow markings? My key has "B924" on it. What is it for? A key is used to open a lock. The "B924" is a clue as to what it opens. What kind of clue? It could be a code that stands for the bitting, or it could denote the place the key has in a master key system. Just from the sound of it, I would say it is the former. If it is a small key, it probably fits a cabinet or file drawer somewhere. Often in these cases, the same number will be stamped on the face of the lock. I found a key that says y11. What does that mean? Y11 is a key blank number. Keys cut on a Y11 blank usually fit some kind of cabinet lock. I have a small silver key with the letters "CCP" on one side and AG45 on the other side. What could this key belong to? The small size probably indicates the key to a cabinet lock, though there are some screen door locks that take a small key. The AG45 is most likely a blind code. If the code is published in a codebook or other resource, it will allow a locksmith with access to the resource to cut a key from that code. Often cabinet locks will have the blind code stamped on the face of the lock, next to the keyway, so one can look at the number on the key and match it up with the number on the lock. I have a key with the number 615. What might it belong to? It is not enough to go on, really, but it sounds like a room or suite number in a hotel or high rise building. I found a key that has "Walmart" on it and "66" on the back. What is this key? Walmart sells a series of Kwikset keyway key blanks with decorative heads under the part number "66." I found this key in my dresser. It says master on one side and x2680 on the other. Have any idea what it could be to? Looks like it may be a key to a padlock made by the Master Padlock company. LL24 could be a keyset number in a very large grand master key system, or it could be a key code number. My key has the number L5817 on it. What is this key for? The presence of the letter "L" would hint that L5817 is a blind code, but without further information, that's all I can tell you. I found a key. On one side at the top is the letter F, and on the other side is the number 13623. What kind of key is this? "13623" sounds like a five-pin bitting, and "F" sounds like a keyway. If I had to guess I would guess this is a key to a light commercial doorknob, lever lock or deadbolt, or perhaps a mortise or rim cylinder. I found a key in my deceased dad's clothes. It's a Baldwin gold-color key with numbers on it: 53479. Do you have any clue what the key is for? Baldwin is a manufacturer of high-end locks used mostly in residences. These locks are typically installed on exterior or entrance doors. Baldwin stamps the bitting on the heads of their keys, so 53479 is the combination of the key. I found a key with the number 464 number on the one side of the head, and on the other, it has a figure that looks like an elephant. It's a rather small key. Do you have any information? Smaller keys generally fit cabinet locks, luggage locks and the like. The elephant is most likely the logo of the manufacturer. 464 may be a blind code. I have a key like none I’ve ever seen. 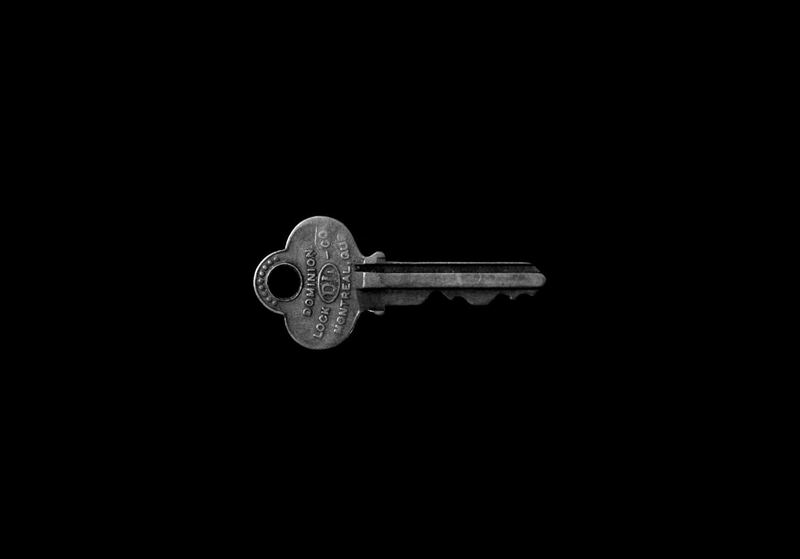 The key has a rectangular head, and there is a hole about the size of a pencil in the top left corner with the letter W on it. (It makes me think of Wilson sports.) On the back of the key are the characters 'A91111'. The tip of the key is more like a four-pronged screwdriver. Any clues on what kind of key this is? Ironically, I have two that are just alike. A91111 is most likely a key code that identifies the key to the manufacturer. I have seen these kinds of four-sided keys used with automotive steering wheel locks and with bicycle cable locks. The "W" is probably the first letter of the manufacturer's name. I found a small key on the sidewalk withe numbers 054 and the head is rubber with the word WATONG do you know what it belongs to? When the head of a key is rubber, it is often the key to a vehicle, but not always. If the blade of the key is cut on both sides, it is more probably a key to a vehicle. "054" could be a contraction of a common Kaba Ilco key blank, "1054", but maybe not. "Watong" is a village in India, but I am not sure it relates to your key. I would guess that if "Watong" is embossed or engraved on the head of the key it is the brand of the key blank or the name of the manufacturer of the thing that the key fits. If "Watong" looks like it was stamped or etched by hand it is probably the identifier for the thing that the key fits. I have the number 751CH on this key. Can you tell me what that means please? That is a mysterious one. It isn't in a normal format for a bitting code, a key blank identifier, or a key number in a master key system. My guess would be that it is a partial address, or possibly a key set in a non-standard master key system. I found a key that has "BEDI" and "N0.5030." What is it used for? I have a key with WO123J: what does it mean? I have a key that says "Curtis." Above it, there is a "CO106." What kind of key is this? I have a lock with 001 on it. How can I get a key for it? If it's portable you can bring it to a locksmith and they may be able to fit a key to it. If the manufacturer is known, 001 might be a published code that the locksmith could look up in a code book and cut the key from the information therein. I found four keys on a ring, and they all look the same. they have a black plastic end with an "M" shape to it. There is a code card on the ring. How do I find out what they are? I have a set of gold keys with "Pacific" on one side and four numbers on the other. Do you know what these keys might be for? I think they may be for a lockbox. Gold coloring indicates brass - the usual material key blanks are made of. "Pacific" sounds like a brand name. There is a Pacific Lock Company that makes padlocks. Padlocks often have 4-pin cylinders, corresponding to the four digits on your key. I'd say it may be a key to a padlock made by the Pacific Lock Company. I found a key. It is a brass key. It has "45" stamped on it. What does this key go to? It also has stamped on it 38 - 49004 with a capital M under that on the other side, and it says Do Not Duplicate in all caps, and it has a one. Okay what does this belong to? Clearly this key does not belong to you, because if it did, you would probably not be asking me what it goes to. From the similarity of this question to the adjacent question I gather that the markings are not very clear. "45" is often part of a number that designates Schlage "C" keyway, the most common keyway in perhaps the world. If so, it is probably a key that opens a pedestrian door. Other than that there are no real clues here as to what this key might fit. I found a key that is about two and 1/4 inches long on the part that goes in the lock, and has a CR 507 and 006. The 006 is bigger than the letters and other numbers. I found it in my yard. What do you think it goes to? Sounds like the 006 identifies the key within a key system, such as a master key system or serialized keyed alike key system. CR507 seems to be a key blank number for a key that may fit a cabinet. I found a key and tag, but I can't find any information about it online. The front of the tag reads, 'IF FOUND MAIL KEYS, RING, AND THIS TAG TO US WITH YOUR NAME AND ADDRESS FOR REWARD'. The back top reads, 'REGISTRY NUMBER DDQ-166,' and the bottom, 'POSTAGE GUARANTEED BY EVANS RULE CO. NEWARK, NJ 07114'. One side of the key is printed with 'RUSSWIN,' and the other has a small '3N' (upper portion), and a larger 'C S' (lower portion). Can you help to identify the key and tag? I think in this case the best thing would be to contact Evans Rule Company. They are at 4130 Faber Place Drive # 105, North Charleston, SC 29405. Evans Rule is currently owned by The Starrett Company. It does not appear that they have a location in Newark anymore. Russwin was a lock manufacturer that merged with the Corbin Lock Company to form Corbin-Russwin. 3N would be the keyway of the key - the bit of info locksmiths need to know to be able to duplicate the key. The "CS" is probably a clue to the door(s) at Evans in Newark that the key controlled. What is the meaning of the number C2366 stamped on my key? If the numerals are made up of little dots it might be a DOM key. 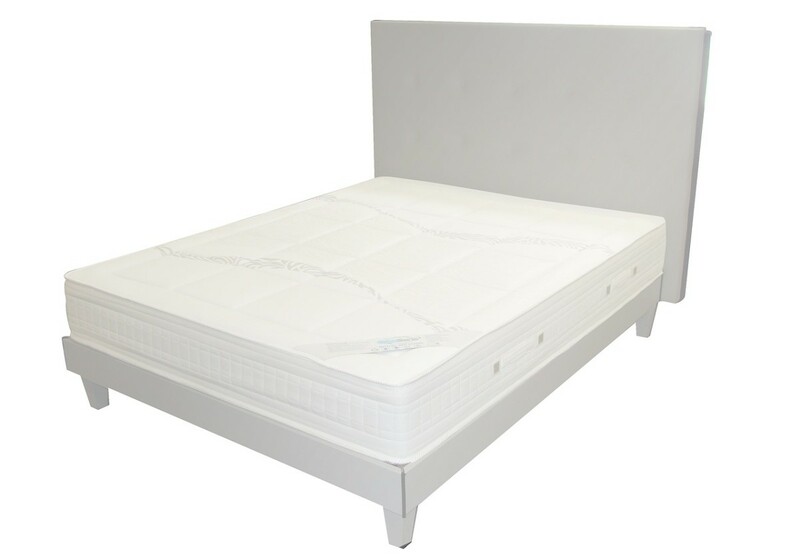 DOM is a manufacturer of office furniture. I have what I believe is a Corbin key, with the numbers 458 A26 stamped on it. I'm trying to figure out what keyway this might be so I can get a copy made for my wife. Do you have any suggestions? Mysterious! A26 sounds like a Corbin restricted keyway, but the A series keyways end at A24. So my guess is that A26 is a key set in a small master key system with one master that has the designation, "A." 458 could be a factory key system identifier, which might mean that a letter of authorization may be required to get copies of this key. I suggest contacting the management of your property for additional keys. I found the key saying brass key 438 - 4904 M on the other side it says Do Not Duplicate with a one in the left corner where does this key go? 438-4904 does not correspond to any blind code number or key blank number that I know of or can find. "M" often stands for "Master Key," but not always. "Do Not Duplicate" is a very common stamp put there in the usually vain hope that folks won't get the key copied. The number one may mean that several copies of this key were made originally, and they were numbered, "1, 2, 3, 4" and so on. Then there was a list: Joe has key number one, Mary has key number two, and so on. That way, at least until somebody gets the key copied, it is temporarily possible to tell from the list who has what key. None of these numbers is a clue as to what lock this key unlocks. I found a brass key with Arrow on one side and 12381 stamped on the back. Any clue what it goes to? Arrow makes cylinders, deadbolts and cylindrical locks for full sized doors. 12381 is the bitting of the key. This tells us the cylinder is a 5-pin cylinder, so the lock is probably a residential grade lock. Usually you find these locks on residential doors, but they could also be used on commercial doors. I recently found a key in my deceased mother's belongings. It is unusual to me. It is a closed P shape with the bitting on the back side of the "P" with what appears to be a castle tower and the letters C G overlapping the C being above and to the left. On the back, it has a C code followed by 5 numbers. Any idea? Is there a way to find out what a barrel key with the numbers 0150 opens? I found a key that says "Defiant" on the front, and "34525" on the back. Do you have any idea of its origin, or what the key is used for? "Defiant" is an inexpensive brand of lock sold at Home Depot. The number "34525" sounds like a five-pin bitting. What do the numbers and letters 14EL on a key mean? This marking does not sound like a keyset number at all, so I think it is probably a key code number. Googling it, it shows that it is a valid key code for a Stant locking gas cap. On the other hand, it could also mean something like, "14th Floor Electrical closet." I found a key with W1535M. A3R. 13 stamped on it. Do you have any ideas of its origin? Unfortunately, no I do not. W1535M sounds like a key blank model number, but none of my reference sources recognize it. I found a key that says "LL24." What does that mean? It could be a key set number in a very large master key system, or it could be a code number that is a reference for the bitting. I found a key with the name "American Lock" on one side of the bow, and the number "5M51430" on the other. How can I find out what it goes to? That number looks like the key number for a padlock made by the American Lock Company, now part of Master Lock Company. 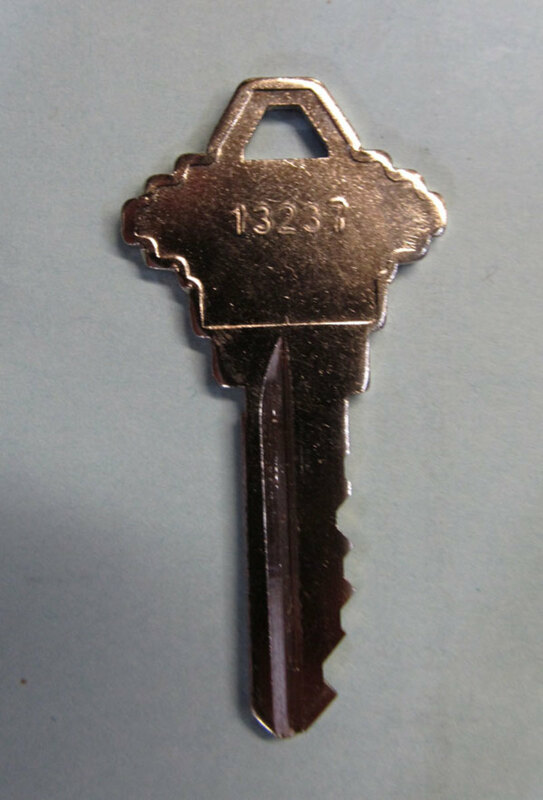 I found a key that has the Canada post logo on one side and the number 22263 on the back. Is this a mailman's key? I have no experience with Canadian postal keys, but I'd say just offhand it sounds more like it is a mailbox key. Why would there be five or six digits in the key bitting number? There are five or six digits in a key bitting number because most pin tumbler locks have five or six active pin chambers. I have a keyring full of keys to an office, but no way of knowing what they fit. Any ideas where to start? Well, if your keys have any markings on them, that could be a start. Perhaps you have a key that says "SC1" on it; that key may fit a Schlage lock. If a key has a brand name, perhaps that matches the brand of one of your lock. Big keys fit full-size doors. Small keys fit desks and cabinets. One challenge is keeping track of which key you tried and where you tried it. You might put different colored tape on the head of each key to help you tell them apart. I found the key to the locks to my bedroom door and closet door, but I do not know who manufactured the door lock. The numbers I see on the key are d22333, or it could be 022333. What does this mean? The number has no special significance to me, but 022333 has enough digits to be a six-pin bitting, so perhaps it is the bitting. "0" usually denotes no cut at all, but it sometimes denotes the deepest cut. The rest of the cuts are numbered by depth, "1" being the shallowest and "9" the deepest. If you look at the depths of cuts on your key, you may be able to see whether the depths correspond to the numbers. If there is a manufacturer's name on your lock, it may be stamped on the plate where the latch sticks out. If you have an old mortise lock, the manufacturer's name may be embossed on the case cover. I have a double-sided silver key with the marking "J8102." What does it go to? I would say that is a blind code. If it is a published code, a locksmith who owns key code directories may be able to identify the keyway and with these two pieces of information could give you a general idea of what the key may fit. In the absence of the key, the locksmith could find this info based on the number "J8102," and the thing that the key fits. The double sided is a clue, but the silver color is not. I found a key in my deceased mother's belongings. It says HUDSON on the front and HL235 on the back. Any idea what kind of key it is? The Hudson Lock Company is a maker of cabinet and mailbox locks. It is likely that the code number HL235 is also stamped on the face of the lock that the key fits. I have a solid cylinder with 4 or 5 slits on 2 sides, and it starts with SX and also has a Lot 4 digit code? If it says "Lot 4" and then has four digits after that, I'd say it's probably a date code. What is the key with 62453 used for and what are the letters kw1 for? KW1 designates an aftermarket key blank in classic Kwikset keyway. 62453 is most likely the bitting of the key. Kwikset keyed locks are usually used on residential entrances. I have an old Sargent lock on my front door which is original to the house from the early 1950s. I have old Sargent blanks with K keyway. I believe my key code is 0010. I have an Osco key with that code. Will the Sargent blanks work with the 0010 key code? Sargent K keyway is unfamiliar to me and may be before my time. I know the Sargent S keyway that would seem to indicate they may have used single letter designations other than S in the past, in the days before hierarchical key systems. I have not heard of keys or locks made by Osco, and indeed the only Osco I know of is Osco Pharmacy. 0010 is reminiscent of O1011, a Kaba Ilco key blank number series for Russwin (now Corbin Russwin) key blanks. 0010 could be some kind of code, but it is doubtful it would mean the same thing when stamped on keys by different manufacturers. I found a key that says LSDA S109BH B45. What would it be for? This key is probably used to open the door lock of an old car made by General Motors. I have a Brinks KW1 11412 key. What does it belong to? It belongs to a Brinks brand residential lock. KW1 is the key blank number, indicating Kwikset keyway. 11412 is the bitting. I found a key that says "Eberhard K208." What does it belong to? 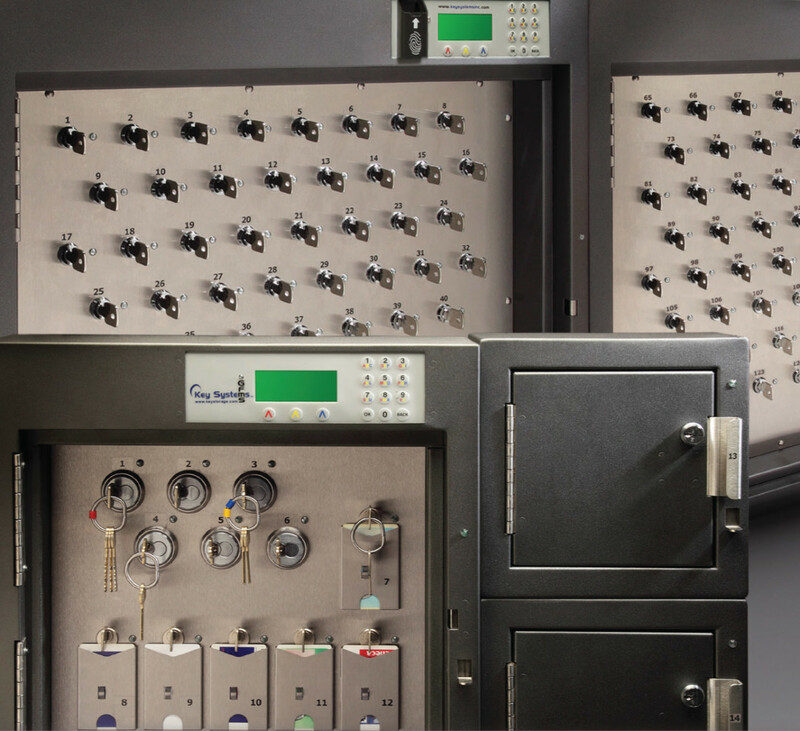 Eberhard makes equipment locks for truck utility bodies, mechanical cabinets, and things like that. What does a key with the numbers 47174 go to? 47174 may be a direct bitting code. If so, it communicates how to cut the key, but it does not tell us what lock it may fit. I have a 25 yr old Russwin key with H1 70 then a 6-digit number underneath (no letters). There is no DND stamp. One locksmith tells me it can be duplicated, another says it can't. What other information can these numbers tell me about this key? Is the object to duplicate the key? Well, then, go to the locksmith who says it can be done. H1 70 could be a key set number - that is, a number that tells us the place the key has within a master key system. This would be a key that would operate one lock, rather than a group of locks, I think. That is, I believe it is an operating key, not a sub-master or master key. Six digit numbers are usually a bitting. The numbers correspond to cuts on the blade of the key. The higher the number, the deeper the cut. What do you think a key with the markings "X054" and it is black plastic on the top? With a number beginning with an 'X' does and having a plastic head, I would guess it is probably a key to a car or truck. The nearest match I could find was X54, which fits a number of vehicles made in Asia. I found a key with "ALPHA" on the front and "8000" on the back. Where is it from? There is a bow and Leaves at the front, and leaves at the back. There is a manufacturer of steering wheel locks for cars called Alpha. Perhaps this is a key for one of their products. That most likely means your key as the bitting 785608.
my key has number A.785608,what does it mean? There was a Bell Lock Company out of St. Louis a long time ago. I believe they made cabinet locks. 263 is probably a key code. This code may be stamped on the face of the lock that the key fits. These letter combinations seem to me to be someone's personal secret code for identifying these particular keys. Many people will get keys copied at a locksmith shop and then have the locksmith stamp a couple of letters on the head of the key to help them remember what the key fits. This idea works in the short term, but if property changes hands and the keys get a new owner, these random characters do little to identify the key. By itself, the letter, "S," stamped on a key has no given designation except that it could be the "S" sub-master key in a large key system. This seems unlikely in this case. More likely the "S" has meaning only to the person who placed it there. It sounds as though you used to have a key with no "S" and now you have a key with an "S". That's why I think someone stamped it there to help them remember what lock it is supposed to open. The "S" does not tell us whether it is a copy or not. It could be the keyway as well. If it is a very small "s" stamped on a Schlage key, it would be "S" keyway. It might not be so easy to copy that key. There are many keyways that start with "S", but very few with just "S" by itself. Usually the "S" would be followed by a couple of numbers. The DormaKaba key blank number X38 fits older Honda and other vehicles. H41212 could be a code that a locksmith could look up (if it is a published code) and cut a new key based on that number, or it could be a 5-pin bitting with an "H" in front of it because that is what this particular manufacturer does. If the numbers seem to correspond with the cuts on the blade of the key, the "1" cut being the shallowest and the "4" cut being the deepest, then it is most likely the bitting. S07 is a keyblank number for Suzuki vehicles. Or, S07 could be a keyset number in a non-standard or very large master key system. 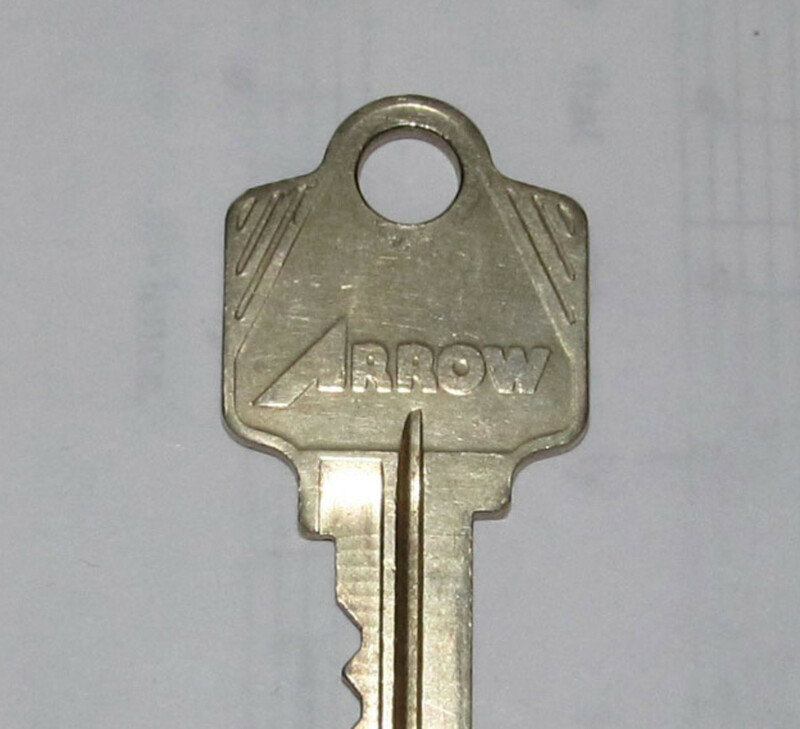 I found a key that has S07 on it, there is 2 of them together that are identical, any idea as to what these might go to? Hi there. 1054LB and IN8 mean the same thing. They identify the key blank. These numbers do not identify this particular key. This kind of key is usually used in cabinet locks. Interesting that your original keys say Y11 - I have not run into that before. Most companies use key blanks coined with their company name so as to advance their company. The industry standard for non-interchangeable core key bittings is bow (that is, head) to tip. I think your guess at the bitting you have is a good one. There may be some trial and error involved as you try to find more locks keyed alike the locks you already have. An additional step you could take would be to use a micrometer to measure the depths. Then you can see if a "3" on one key is the same as a "3" on the other key. This might help you determine if you are on the right track. The key number listed on the package of the new lock I just bought that ALMOST matches visually is 33443, but I don't know if that's the bitting or the blind key code, and it has one little extra notch closest to the head of the key that the old key doesn't have. If that number is the true bitting, is bitting listed from the tip of the key, or the head of the key? Or can it be different for different manufacturers? Actually, I look at the key cut and number on the new key, I think it might be true bitting, listed from the tip. Visually looking at the key, starting at the tip, I see 2 cuts of the same depth (the 33), followed by 2 cuts deeper than the first 2 but also the same as each other (44), followed by a 5th cut that appears the same depth as the first two cuts (the final 3). So I THINK that tells me I'm probably looking for a 33440 key cut to match my old keys. Y11 is a key blank number used by aftermarket key blank companies, so if your keys all say Y11 on them, they are probably all copies, and none of them will have the cam lock manufacturer's name on them or the key code. Many cam lock manufacturers use this keyway, and since key codes are categorized by manufacturer as well as lock type, it may be difficult to find the one you are looking for. The key number (or key code number) might be published in a key code book. Next to the key number in the book would be another number: the bitting of the key, which is a set of numbers that correspond with the depths of the cuts on the key. Usually "1" stands for the shallowest cut and "9" or "0" for the deepest, but cam lock keys don't usually have that many choices. Usually their cut depths are limited to 1 through 4 or 5, and they usually only have 4 cuts, which means there are a few thousand possible bittings that could exist. However, most manufacturers only use a few hundred bittings at most for their cam locks. To find your key's code in a code book, you would first identify the bitting. Having no guide, you would need to guess. Very shallow cuts are probably a "1", very deep cuts a "4" or "5", and in-between depths probably a "2, "3" or "4". If there is no cut at all, that would be a "0". After you guess at the bitting, say it's "1422", you start looking for "1422" in the code books. If you're lucky, maybe you'll find someone who has code books on searchable .pdf documents. That would speed things up. Another possibility is to have a locksmith key cam locks to your key. I have done it, so I know it is possible to do. It is no fun, but it is possible. Most cam locks can be disassembled, and their pins or wafers replaced to match a key. 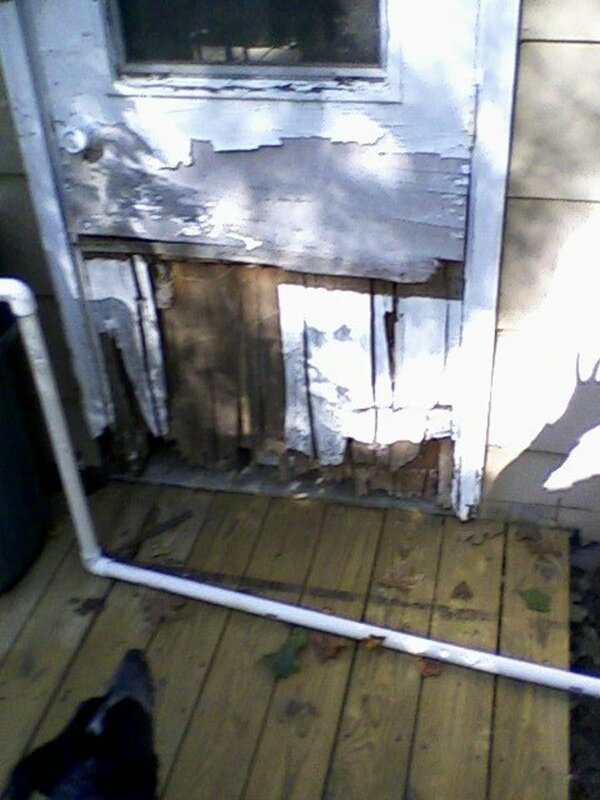 In this case your project would be to find a locksmith willing to do this work. For a Y11 key for a camlock, can the key number be determined based on the cut of the key? I have several cabinets that I installed camlocks in several years ago and made sure to buy locks with all the same key. I now need to install a new camlock in a new cabinet and I want to match the key. Unfortunately, the keys that came with the original locks do not have the key number stamped in them (they have "Y11" stamped on them, but not the specific key number), and I don't have the original packaging of the original locks (it was 5+ years ago at least). To be clear, I am NOT looking to make a new key for my existing locks. I am trying to buy a new lock to match my existing key. I tried taking my existing key to the hardware store and just going through their stock of locks and visually comparing the cut of the key. I found one that looked right and bought it, but once I got the new keys out of the package, there was one TINY little difference which is enough to make the keys not be interchangeable. Seek a locksmith who has code books. If the number is a published key code, they may be able to discover the manufacturer. i found a key and it has this written on it, ODC 117. do you know what that means. do you happen to have any information that might help me find out what it fits into or maybe a website i look it up on? Hi Hardik, according to Kaba Ilco's online key blank cross reference, 1444 could mean it is a key for an Alfa Romeo motor vehicle. On the other hand, it could be a bitting number or a number assigned to an operating key in a larger key system, or a code that a locksmith might be able to look up in order to make a new key should this key be lost. Hi Gemma, unfortunately the number on the key is probably not a clue to who might own the key. The manufacturer's name, if there is one, may help you determine what kind of lock it may fit, and that may or may not be a clue. Did the key arrive by mail? If so, is there a postmark showing where it was mailed from? That would be a better clue. "Independent Lock Company" later shortened their name to "Ilco." Since then they were bought by Kaba, which has in turn been recently acquired by Dorma. 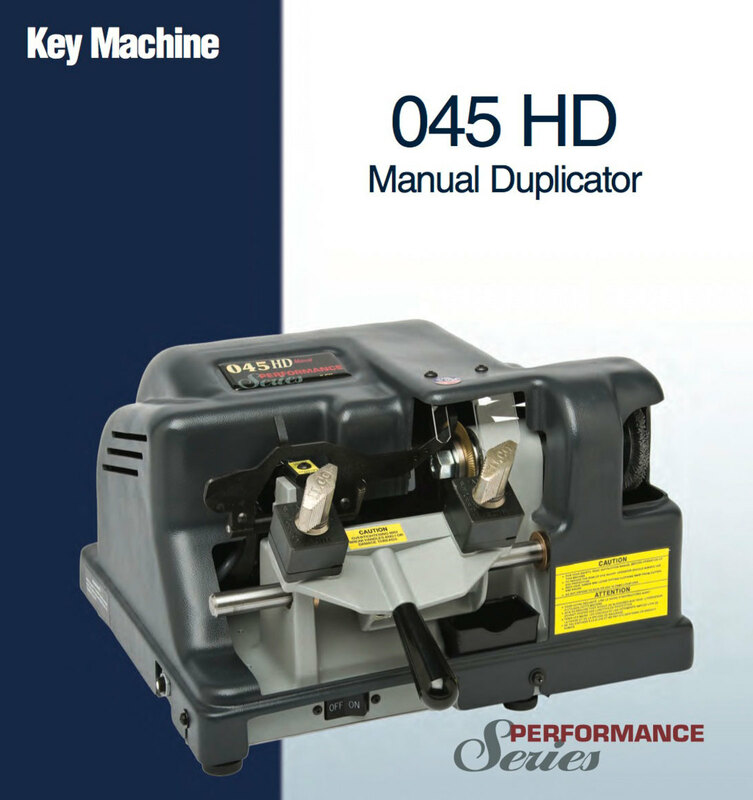 They remain a maker of key blanks, key machines, locks and cylinders, as they have been for many decades. Without any other clues, I think your chances of finding the lock this key fits are slim to none. It sounds like your key probably fits a replacement cylinder that was used to change a lock somewhere. You could look for a cylinder face with the same logo in the building in which you found the key, but since Ilco has long made cylinders with no logo on the face, even this small possible clue may not apply. What do the numbers on a USPS key mean? My mother just passed away and she has 3 on her key ring, but I do not know where the boxes are? How do I locate them? I work for a Assisted living facility, I have keys marked 1AA through 101AA. I have duplicate keys that someone cut. I'm missing some keys and instead if trying all the keys I was wondering if there is a list of the cuts so I can check the number against the cylinder. IE. I have cylinder 46AA with no key. I will actually write a separate article on that subject, but in short, numbers on locks and keys might be code numbers that may enable a person to cut a key based on that number if (1) the key code is a published code, that is, available in commercially available key code books, or the manufacture keeps the code on file and will translate the code; and (2) the person doing the key cutting is equipped for and skilled in cutting keys by code. Can you explain the numbers and letters on a padlock can determine a working key if lost your keys. This article was awesome. I use a lot of keys at my work and I have always had this almost nerdy curiosity about what the numbers mean but I never looked it up. Thanks. Thanks, FlourishAnyway. I have found the interaction between keys and locks interesting for a long time. The numbers and letters stamped on keys and the meanings of those characters is as complex as the evolution of the key. Thanks again. I've noticed the numbers before but never thought a whole lot about it. Who knew? Thanks for tell us this information. I find it intriguing. There is no higher praise than to learn that one's writing has been of use. Thank you, Epbooks! Livewirez, all keys are unique, and so every duplicate is just a little off. The difference of the copy from the original is what determines how well (or badly) it operates the lock. People who duplicate keys generally use a key machine that "reads" the information from the key and simultaneously transfers that information to a cutting wheel that makes the cuts. But it is also possible to duplicate a key using a simple flat file. Hmm. I feel another hub coming on. Thank you! Nice Hub.. I know that keys are very unique but I am just curious how does those people who duplicate keys can make keys exactly the same as the original? One thing I can honestly say that I never looked at other than its color was a key. I use them every day, but never even noticed there were numbers on them. This is good to know in case I need to get some keys made, which, as a matter of fact, I do! Thank you, Storyteller. It does seem that there is often a key to something that figures prominently in mysteries and detective stories; and there are all the key metaphors, too. Thank you! Fascinating information- great material for a book or poem of intrigue!!! Glad you liked it and thanks for reading! It is the kind of information that is occasionally very nice to have. Thanks again.